We spend most of our life at work, sitting there for 8 hours or more every day. For most people, work becomes a second home. So, people we’re working with and see basically every day become a kind of family to us. Many people are critical of friendly relationships with coworkers, because they consider them to ruin working mood and image of the company. But is it really so? Or maybe it’s actually good for you and coworkers to meet at least once a month to socialize and spend active time together? How can you build good connection with your colleagues and have a relationship, which will not harm your relationships at work? How to be smart at work socializing? And why is it important to occasionally meet with your coworkers after hours? 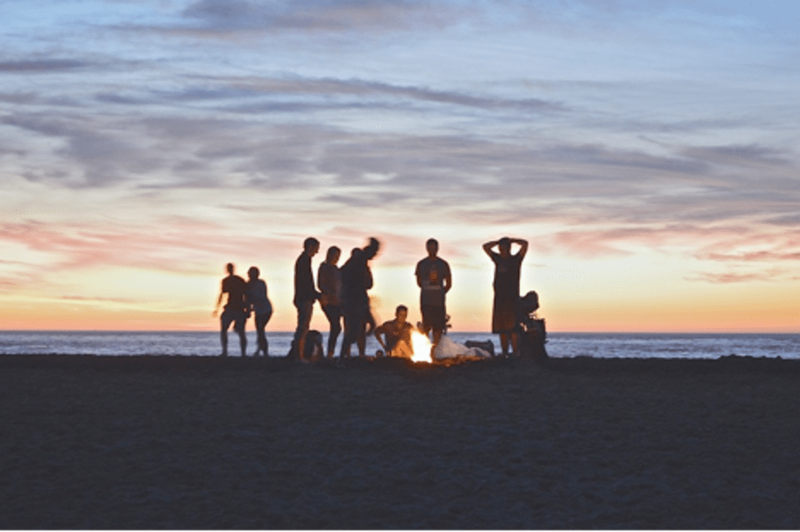 Here are some pros of socializing after work that will help you understand why and how to maintain good relationships with your colleagues. We all have colleagues we don’t quite understand. We have so many differences that are so hard to be ironed out! Some colleagues seem not to be very interested in communicating at workplace. However, meeting them after work can actually be a remedy to your relationships at work. Or maybe there is a newbie in your staff who is a little bit insecure or afraid of uncertainties and obstacles at the new workplace? Arrange an after-work meeting and help your new coworker feel appreciated and become a new member of your work family! How many times a day you need a helping hand? We often have to face problematic situations at work, when we cannot just solve them on our own. That’s when our coworkers come to rescue us. Here’s the thing: meeting your colleagues after work, socializing and having fun together will build an atmosphere of support not only outside of your workplace, but during working hours as well. However, make sure that this feeling is mutual. It’s only fair when you’re as ready to help them as they’re ready to help you and trust you. Ignoring your colleagues when they’re inviting you to spend some quality time with them after work shows your bad manners. Of course, this is not the case if you have a really good reason to decline the invitation. However, if you constantly back out of spending time with your colleagues after work, don’t be surprised if you start feeling eliminated soon. Remember, nobody forces you to go and have a drink with your colleagues every day. This is not obligatory, but an occasional drink and chat after work will show them that you care about your relationships with coworkers. Remember that the way you treat your colleagues shows whether you’re committed to your job or not. Spending time with your colleagues after work should be on your “to-do” list, if you want to build your career in a particular company. And don’t forget: in case you change your workplace and need a review from your previous employer, such qualities as “sociable” and “friendly” will work like a charm and get you a job you’re applying to! A successful team, where relationships between coworkers are based on support and respect, is a dream for every leader. And every leader tries to achieve it by gathering the employees and spending some time with them outside work. That is why it’s a bad idea to skip annual holiday parties. Imagine this: all employees, even those who work at regional offices of your company, find time to come and meet you, and you just ignore the invitation! This is really rude. If your colleagues contribute to creating corporate culture based on friendly, respectful relationships, you should do the same. Only then you will have a team, capable of making your company successful! Ok, now you understand how important it is to mingle with your colleagues and socialize with them after work. But how can you build good relationships with your coworkers and not overstep the boundaries? Here are some tips that will help you not to get lost. Choose the right topic to discuss. There are some taboo topics you never discuss with your colleagues inside or outside your workplace. Remember that you are colleagues, first and foremost. So if you don’t know you’re coworkers good enough to trust them completely, avoid talking about your private issues. Don’t be a party-hardy. Cross the line between having fun and partying hard. You don’t want to be embarrassed if you see your coworkers laugh hard over some controversial pictures of you from last night. Show that you like having fun but don’t cross the line. Say no to gossiping. Never gossip about your work, your boss or other employees! Remember that you work in a group of people where every nasty word you say can easily pop up and ruin your perfect reputation. Control the things you say and stop others from spreading rumors. Be polite and reasonable. Treat your colleagues the way you want them to treat you. Show them that you’re a polite and good-tempered person. Don’t judge them if you think they’re wrong. All people have their flaws as you have yours. And watch your language when you communicate! Nothing spoils the impression about a person faster than constant swearing. Say no to flirting. Contrary to a popular belief, romance at the workplace rarely works out. Don’t fall into this trap if your primary goal is to build a career at a particular company. So as you see, meeting your colleagues after work is actually a good idea! Remember that if you want to feel comfortable at work, establishing and maintaining good relationships with your coworkers is crucial! So go out and spend some time with them, and soon you’ll feel their support and respect!